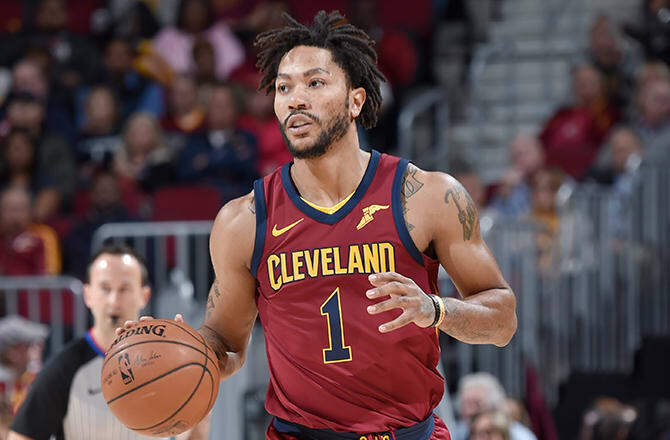 After suffering from an ankle injury last week, Cavs point guard, Derrick Rose, left the Cleveland Cavaliers to contemplate his future in the NBA. According to league sources, Derrick Rose is frustrated by his numerous injuries, which have severely diminished his desire to play basketball. So far in the season, Derrick missed 12 of the Cav’s 19 games due to a sprained ankle. Rose’s myriad history of injuries began all the way back in 2012, where he tore his ACL in the first round of the playoffs against the Philadelphia 76ers. As a result, Rose had to miss all of the 2012-2013 season to recover from his surgeries. A year later, Derrick Rose tore his right meniscus during and was out for the rest of the season. After being traded to the Knick’s the following season, Rose again tore his left meniscus and had to miss the rest of the playoffs. When Derrick Rose initially entered the league, he was publicly acclaimed as the future of the NBA. Within 3 years, Rose was named the NBA Most Valuable Player, becoming the youngest player to ever receive the award. He averaged 27.1 points and later became a three time all-star. Since Rose’s absence, the Cavs were able to successfully gel together, as they pulled away their 13th win against the Philadelphia 76ers. Still, Tyronn Lue says Rose still has a place on the team.